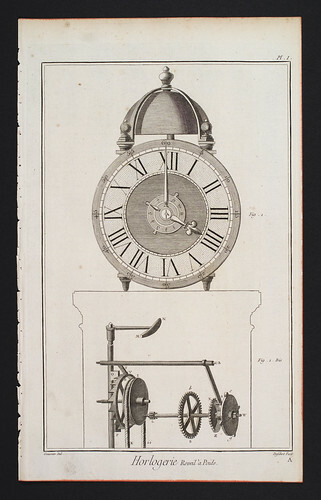 Horlogerie, Plate 1. Encyclopédie, ou Dictionnaire Raisonné des Sciences, des Arts et des Métiers. Edited by Denis Diderot and Jean le Rond d'Alembert, Paris 1768. Photograph by D Dunlop. This page exists to make room for, and invite the participation of professional physicists. As WikiMechanics develops, there will certainly be some need for integration with established practitioners and traditional educational methods. The following domain-names have been secured to support future development in these directions. And here is an early boffin-friendly version of WikiMechanics.